Today's millennial socialist dilettantes might consider consulting with some of us who have personal experience with this ideological cancer, but millennials tend to prefer to rely upon their arbitrary feelz rather than on boring old facts, evidence, and history. You guessed right! It's normal Americans once again, the draft horses of America, who will be expected to carry their own weight as well as the weight of all the cool kidz in Brooklyn and ‘Frisco. But as my upcoming book Militant Normals: How Regular Americans Are Rebelling Against the Elite to Reclaim Our Democracy demonstrates in vicious and hilarious detail, Normals are getting tired of snobs who disrespect and despise them while simultaneously expecting them to maintain, feed, fuel, and defend this country all by themselves. The socialist cheerleaders don’t want to be normal. Normality requires work. 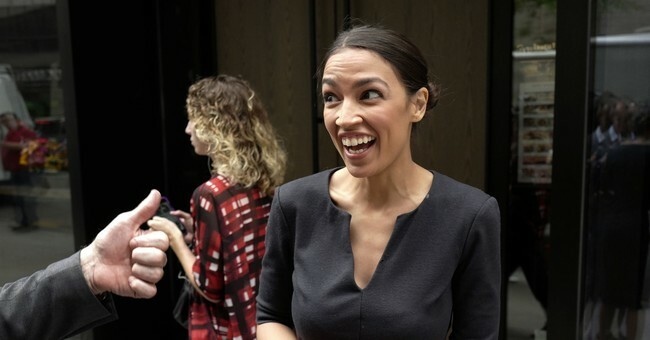 They want to be part of an elite that will run things from their progressive urban coastal enclaves, and in socialism there's always a lot of running things going on. But they always assume that once the revolution comes, they will be the ones running things, clothed in government authority and making all the economic decisions that individuals and their companies make today. None of them imagine they will be the ones stuck with the dirty jobs – they dream of being commissars, not garbagemen. Now, democratic socialists will always deny that getting on the pathway to tyranny will lead to tyranny, and they will always tell you that true socialism has never been achieved. Basically, their argument is that we should throw out the ideology that brought the world the freest and most prosperous country in human history and instead give an ideology that has failed every single time it's been attempted yet another shot because they are tired of paying for the things they want. Socialism’s perfect record of failure, misery, and slaughter is kind of a problem for them, so they pivot and distract, playing an ideological shell game by claiming that what they really want isn’t socialism. Why, they just to be more like Canada! This, of course, begs the question of why they call themselves “socialists” if they don't want socialism. But Normals are woke; they prefer their freedom and abundant toilet paper. They know that the current socialist fad is a lie, because socialism is built on lies. The democratic socialists keep promising Denmark and Norway, and but they always deliver Cuba and Venezuela.